Magic Carpet Cleaning Company provides professional cleaning service at affordable prices. Carpet cleaning is highly recommended by manufacturers and should be performed at least once a year. Good care can increase the life of your rugs and saves you money for expensive recarpeting. 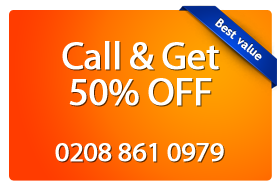 For more information you can call us on 0208 861 0979 or use our contact form below. Deep carpet cleaning will help you prolong your carpets lifetime and remove all the bacteria and dirt in your carpet. Magic London Carpet Cleaning in Elephant and Castle SE1 offers a range of services to breathe a new life into your carpets. As a carpet cleaning company we strive to provide high quality services with the state-of-the-art methods and most effective equipment. We ensure that all of our cleaning materials are eco-friendly to create a safe, healthy and 100% clean home or office for you. Our high customer satisfaction rate and exceptional prices set us apart from our competitors. Give our carpet cleaners in Elephant and Castle SE1 a call on 0208 861 0979 now and enjoy our quick and effective carpet cleaning services! Our friendly customer support assistants are available 24/7 to answer all your questions. Also you can use our on-line booking form.